Like prior conferences, the 16th Biennial Conference will offer a collegial and collaborative setting for legal writing and academic support professionals to meet, reconnect, and share ideas about pedagogy, scholarship, and professional growth. Presentations on legal writing teaching, scholarship, and professional development. Tracks for academic support and newer professors, critiquing workshop, poster sessions, coffee sessions, Idea Bank sessions. The 2014 conference will feature a mix of presentations that address teaching theory as well as innovative and classroom-tested ideas for new and veteran teachers. 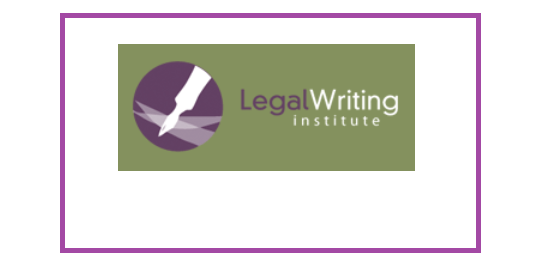 and a range of other topics including professional growth,academic support, applied legal storytelling, global skills, legal rhetoric, and hot topics in legal education. The poster presentations allow focused concentration on a discrete project or concept. Posters will be spotlighted throughout the conference. Registration for the 16th Biennial National Conference will open in January 2014. The registration fee schedule will be posted as soon as possible.